Our university has recently submitted a UMB Human Resources Strategy and Action Plan to the European Commission. Our aim is to gain the European Commission´s HR Excellence in Research. The main objective is to adopt the principles of the European Charter for Researchers and Code of Conduct for the Recruitment of Researchers (Charter&Code) and to implement the strategy and action plan in order to improve processes and practices of human resources policies at the university. We want to achieve more transparent and fair recruitment and appraisal procedures and make an academic and research career more attractive. I look forward to working with you on the improvement of the university policies and strategies in this area that will be beneficial for each member of our academic and research staff. Assoc.Prof. Ing. Vladimír Hiadlovský, PhD. 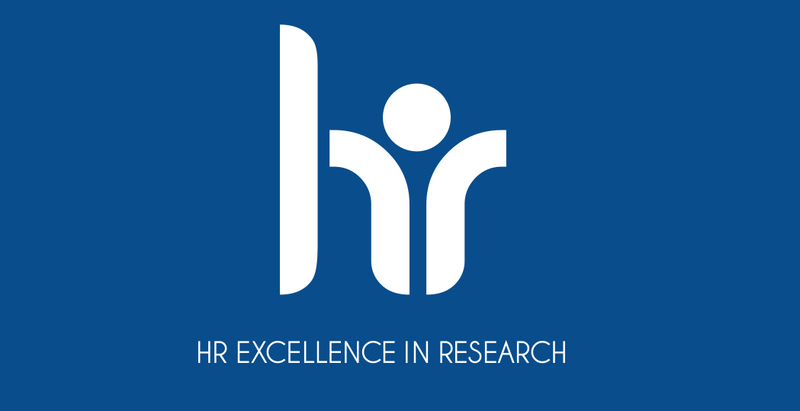 What is HR Excellence in Research? In 2005 the European Commission (EC) launched the European Charter for Researchers and Code of Conduct for the Recruitment of Researchers (known also as Charter&Code) which set out principles for good working conditions for researchers (in the Slovak context it means university teachers and researchers). External evaluation by the EC takes place every four years. How did the UMB start? In January 2017 two representatives of Matej Bel University (Vice-Rector for Research Alexandra Bitušíková and UMB Research Coordinator Kamila Borseková) participated in a workshop, organised by the European Commission – DG RTD B2 in Brno, Czech Republic. The workshop´s aim was to inform research performing organisations – potential H2020 project applicants or beneficiaries about the structured implementation of the Charter&Code (C&C) principles via the Human Resources Strategy for Researchers (HRS4R) as recommended in article 32 of each H2020 grant agreement. Steering Committee (SC) was established as a decision making body responsible for decisions related to the Gap Analysis and the Action Plan preparation. SC is responsible for an efficient and smooth implementation of the Action Plan in coherence with internal procedures, rules and directives. Members of the SC: Rector, Vice-Rector for Research, Coordinator of Research, Head of Department of Internal Quality, Head of University Centre for International Projects, Chairman of the Ethics Committee, Chairman of Academic Senate of UMB, Chairwoman of Trade Unions, Human Resources Department representative, Assistant of Vice-Rector for Research. The SC met on 15 March 2017, further communication was done regularly via email. The role of the SC will strengthen once the university gains the ´HR Excellence in Research´ logo. Monitoring Committee (MC) was established as an executive body responsible for overall preparation of the Gap Analysis and the Action Plan, coordinating and monitoring the process and Faculty Working Groups. MC had 2 meetings (28. 3. 2017, 14. 9. 2017). Members: Vice-Rector for Research, Coordinator of Research, Vice Deans for Research of all six faculties, Head of the University Centre for International Projects, HR Department representative and students´ representative. Each of six faculties established a Faculty Working Group (FWG) responsible for preparation of the Faculty Gap Analysis. FWGs are led by Vice-Deans for Research. Other members include junior and senior representatives of researchers, HR department, research support staff and doctoral students. Information about the HRS4R was also given to academic and research staff at academic fora of each faculty. In addition, each university teacher and researcher (including doctoral candidates) had an opportunity to fill in the GAP analysis questions translated into Slovak language via internal IT system. 81 questionnaires were filled out. Finally, all faculty gap analysis questions were merged and harmonised - voices of all Committees, WGs and individuals were taken into consideration in the preparation of the final version of the Gap Analysis and the Action Plan. The final version of the Gap Analysis and the Action Plan was sent to the European Commission for review on 22 November 2017. On the 5th of December 2018, Matej Bel University was informed by the European Commission that the university met all the requirements and was granted the ‘HR Excellence in research’ award. On the 5th of December 2018, Matej Bel University was granted the ‘HR Excellence in research’ award as the first Slovak institution.